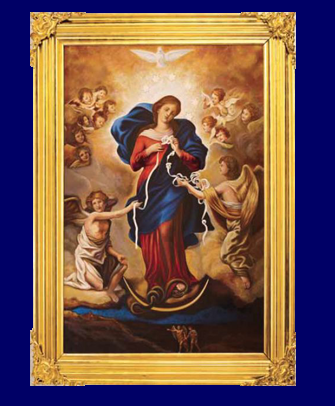 Undo this knot in my love…., O mother, and ask Jesus to heal my paralytic faith which gets down hearted with the stones on the road. Along with you, dearest Mother, may I see these stones as friends. Not murmuring against them anymore but giving endless thanks for them, may I smile trustingly in your power.